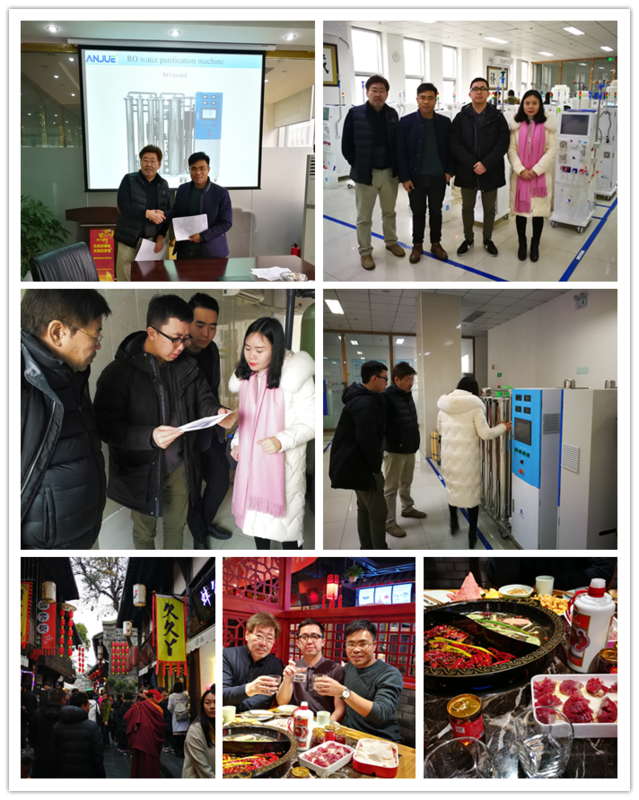 Mongolia famous company to visit our company to make order of RO Water Treatment Machine fof their dialysis center.After carefully check, customers express our confidence in our technology & quality of our products. We arrange schedul to visit Jiuxing Nephropathy Specialist Hospital.The hospital have one our 2500 Litre per hour Double Reverse Osmosis Water Treatment Machine. As the only water treatment equipment in the hospital, from the installation unitll now, no trouble and problems have been found for the passed five years. The quality of the product is very reliable. At the same time, the customer also inspected the usage of the hemodialysis machine in the hospital. They are very satisfied with our products. Finally, the customer are glad to order an RO Water Treatment Machine. And the installation will be at the end of March,2018.In fact,our new advanced RO Water Treatment Machine will launch soon,it will have 3 times Reverse Osmosis.As we know,now most of countries are only 1 time,we can improve it to 3 times. All of these efforts are expected to provide more quality products and the gospel for dialysis patients.